Naomi Klein, The Shock Doctrine: The Rise of Disaster Capitalism. Metropolitan Books, 558 pp., $28. Naomi Klein made herself deservedly famous with No Logo, whose official U.S. publication date of January 15, 2000, was just weeks after the popular hijacking of the WTO summit in Seattle. Not only was it well-timed, it was notable for moving beyond the usual critiques of consumption that had been staples of what was then called the antiglobalization movement and into the neglected world of production. It was a comprehensive look at the economic world of the time that helped energize a movement and deepen its understanding of the world. Seven years later comes The Shock Doctrine, an even more ambitious book that aims to provide, in blurber Arundhati Roy’s words, “nothing less than the secret history of what we call the ‘free market.’” Although one should never look to jacket blurbs for measured evaluations, there’s really little that’s secret about this history, and Klein’s organizing “shock” metaphor explains nowhere near as much of the world we live in as she thinks it does. 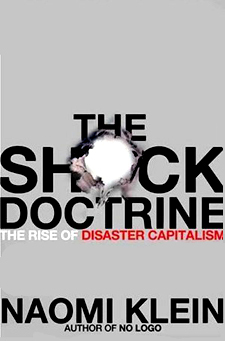 The Shock Doctrine is organized around a conceit: “shock” and its cousin “disaster” explain the political economy of the last several decades. One ur-figure is Dr. Ewen Cameron, a ghoulish psychiatrist who worked under contract with the CIA during the 1950s, devising methods to extract information and remake personalities through the use of drugs and torture. His information-extraction techniques became the templates for Gitmo and Abu Ghraib, and the personality renovation became the psycho-political template for the neoliberal restructuring of much of the globe. 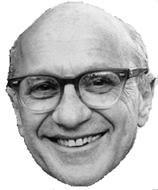 And the other ur-figure is Milton Friedman, the University of Chicago economist who wrote the playbook for the policy innovations themselves. The two came together in Chile, via Gen. Augusto Pinochet, when a whole society was remade, in no small part through literal torture techniques, in accordance with the Chicago School’s radical free-market dogma. Modern capitalism, says Klein, was born in the Southern Cone, and Pinochet was its midwife. From there, the model spread around the world, though the exact nature of the shock and disaster varies. Bolivia experienced an early episode of shock therapy, under the guidance of Jeffrey Sachs, in the mid-1980s. That episode relied more on tight money than torture cells. The same can be said of Sachs’s work in Poland and Russia in the late 1980s and early 1990s: the idea was to turn these formerly socialist countries into capitalist ones nearly overnight. In the U.S., there was the shock of 9/11, and the regional disaster of Hurricane Katrina. The invasion of Iraq provided an opportunity for a great economic experiment in that unfortunate country. In Sri Lanka, a tsunami provided the impetus for an economic restructuring. Clearly, there’s some truth here, but the list of instances is so varied that they don’t always merit a single theory. Even if you limit the theory to the idea that there’s nothing “free” about the free market, it’s strange to see that notion presented as the revelation of a secret history. What is called the “free market” has always been inseparable from state coercion; there was never anything spontaneous about it at all. This has been true at least since the enclosure movement in England privatized previously common lands starting in the sixteenth century, give or take a century or two. In more modern times, the role of U.S. imperial power in promoting the so-called free market has long been a central theme of Noam Chomsky, a writer who doesn’t lack for readers. For a book this long, there’s little history from before 1970. Klein cites Stephen Kinzer’s history of U.S. interventionsoften based on tight government links to corporate interestsgoing back to 1893, but she quickly returns to the rapidly fading present of Bush and Cheney. There’s little doubt that there’s something different about this ganga little more primitive in thought and stylebut there’s one prominent missing case: Lyndon Johnson, who engineered the killing of something like a million Indochinese. Poor LBJ is woefully underrepresented in the book; he doesn’t even merit an index entry. Klein writes at length about Kellogg Brown & Root (KBR), which from 1998 to 2007 was a subsidiary of Cheney’s notorious plaything Halliburton. KBR’s predecessor, Brown & Root (B&R), was practically created by federal contracts steered its way by Johnson, from his days in Congress to his days in the White House. B&R returned the favor by financing LBJ’s campaigns for higher office. B&R got fat contracts to build the war infrastructure in Vietnam, complete with scandalous overcharges. (GIs in Vietnam called the company “Burn & Loot.”) B&R built the infamous tiger cages used to torture Vietcong prisoners. It was the first time the U.S. military had contracted out for services formerly performed by soldiers. In other words, George Bush has many predecessorssome of them Democrats even. The effect of setting the starting clock on history so recently is to make the present seem far more extraordinary than it is. Compounding that problem is the central role that “shock” and “disaster” play in the narrative. By so emphasizing “shock”and so much of that shock being extreme repression and tortureKlein skirts the difficult question of how the right developed enough popular consent and legitimation to win election and re-election, sometimes in landslides. The Morning in America election of 1984 was about an exhilarating boom. Though the boom was uneven and crazy, and came after a deep recession, it was real enough to be believed by enough people to keep the story going. The shock of 9/11 had little effect on U.S. economic policy; sure, military contractors have made a bundle of Bush’s buildup, but that’s a story at least as old as Eisenhower’s militaryindustrial complex speech, and it’s hardly become the driving force of the U.S. economy. She cites contracts of $150 billion handed out over five years, but at $30 billion a year that’s the equivalent of three or four days worth of retail sales. Neoliberalism, a word that Klein uses a lot, has consistently gained electoral victories in the U.S., Britain, Australia, New Zealand, India. 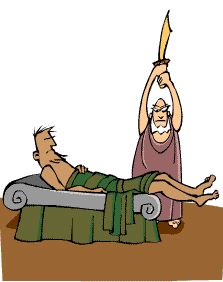 Not all the practitioners belonged to right-wing parties: names like Bill Clinton, Tony Blair, Paul Keating, and Roger Douglas come to mind. Clinton and Blair barely appear in the book, and Keating and Douglas not at all. As do many partisans of the global justice movement, Klein exhibits a nostalgia for the Keyensian welfare state model that prevailed in many rich countries in the decades following World War II. That model had a counterpart, roughly over the same period, in Latin America in the import-substitution model, in which tariffs and other import restrictions were used to protect local industries in the hope they’d develop. Import substitution had its successes, for sure, but they were fairly limited. The regimes that practiced it were often corrupt and repressive, with deep ties between protected industrialists and their political patrons, and the products of these coddled industries were often shoddy and expensive. There’s no doubt that successful development requires some kinds of “protection,” but it’s hard to do it deftly. And the victims of Pinochet and Argentine junta were rebels against that very model of capitalism. At first, the military dictatorships of Latin America weren’t trying to impose neoliberalismthey were trying to defend the system of private property against a variety of populists, socialists, and communists. Using words like “Friedmanite” and “neoliberalism” is a way to avoid talking about capitalism in any systemic fashion. When Klein does address systemic issues, she professes that she’s not anticapitalist, but prefers a form of managed or welfare capitalism. It would be sectarian to say that managed or welfare capitalism isn’t better than what we’ve got now; it most certainly would be, especially in the U.S., where a single-payer healthcare system seems almost like a revolutionary impossibility. But it would be naive to think that we could get there without a political upsurge demanding an even more radical renovation, and evasive to deny that exploitation wouldn’t still exist under a regulated capitalism. As is often the case with arguments organized around a conceit, Klein works hard to squeeze events into her model’s form. There’s the problem mentioned abovethat Cameron and Pinochet cannot explain Ronald Reagan’s 59-41 victory over Walter Mondale in 1984. But there are also problems with many of Klein’s case studies. She also asserts that Israel is in the midst of a Chinese-style boom, which has been occurring because, not in spite of, the country’s constant state of war. The boom, she asserts, is being driven by the production and export of military and surveillance equipment. But in fact Israel’s economy isn’t booming, the military share of GDP is way down from its 1970s peaks and has been flat in recent years, and arms represent only a fraction of Israeli exports. Israel’s per capita GDP has been growing at about a quarter of the Chinese rate over the last couple of years; over the last seven years, it’s more like a tenth the Chinese rate. Electronics, including militarysurveillance goods, have been declining as a share of Israeli exports, while that of drugs and chemicals has been rising. Israel’s share of the world’s arms trade is just over 1%, behind Sweden’s. One reason that Friedman became popular both within his own profession and in the larger world was that there were real economic problems in the 1970s. In the richer countries, Keynesian/welfare-state capitalism was in crisis because of stagflation. According to the economic consensus of the time, weak growth was supposed to mean low inflationbut weak growth coexisted with persistently high inflation throughout the 1970s. Friedman offered an explanation for that: monetary stimulus beyond a certain point results in inflation, not additional growth. Growth was being held back by unions and regulations, which were interfering with the magic self-adjusting powers of the market. The solution was tight money and deregulation. It worked, at least for a while, on its own terms, though at great human cost. But there’s a radical way of expressing the insights of Friedman and the others who came to power and influence in the late 1970s. Capitalism simply cannot live with low unemployment rates. Workers gain confidence, resist the direction of the boss, and wages are forced up. Add to that a welfare state, which cushions workers against the risk of job loss, and things are even worse from the bosses’ point of view. Their plight was evident in the depressed profit rates of the leisure-suit decade. Sure enough, the application of the Friedman agenda raised profit rates and ended the great inflationthough it put the working class into a semipermanent state of anxiety, which was part of the point. That does suggest a permanent shock strategy is part of the system’s normal operating procedure, not an extraordinary event. An honest evaluation of this history would have to recognize that the Keynesian model in the northern hemisphere had reached an impasse in the 1970s. Either things had to break in the Friedmanite direction or a more anticapitalist direction. And in the southern hemisphere, import substitution was running into similar problems: rising inflation and low levels of productivity. Many governments borrowed heavily abroad in an attempt to keep things going, laying the groundwork for the debt crisis of the 1980s. Obviously Friedman, Pinochet, and Reagan do not represent the full range of possibilities, but something had to give, and the left worldwide was too weak to win the battle. Though the analysis may be problematic, Klein’s closing chapter does inspire hope even in a skeptical reader. Shocks wear off, and some of the most inspiring agitation is coming from the region that suffered some of the worst abuses of the 1970s and 1980s, Latin America. The word “socialism” is even being dusted off in Venezuela and Bolivia. But the emphasis on shock as the organizing principle of the book even constrains the inspiration. Those recovering from shock, whether in the Southern Cone or in New Orleans, see themselves as “repair people, taking what’s there and fixing it, reinforcing it, making it better and more equal. Most of all, they are building in resistancefor when the next shock hits.” These are the concluding words of the book. Is this really all we can do? Tinker while the weather’s fair, and get ready to duck and cover on a moment’s notice?